President Jack reminded members that our 4th annual HR Derby is this Saturday. We need as many Kiwanian members in attendance as possible, 9 AM show time for set up, registration at 10, event begins at 11. With local enthusiasm for the just completed Little League season, it is expected to get many little leaguers participating. More than $1,000 in sponsorships has already been pledged, so it should be a great event. Scott Laurent, who is chairing the Home Run Derby, would like to see members at Colby Field by 9 AM. WE MEET HERE ON SATURDAY MORNING. Betty Ballantyne, who is chairing Roger’s Ride being held August 24th, called a committee meeting July 24th at Irwin Motors. She asked that a Press Release go out very soon. John Walker reported Got Lunch! Laconia has reached the mid-point of its season as of today. 613 children are having lunches delivered to them, that is 3,065 lunches weekly. Tonight’s guest speaker was Mike Persson. Mike, a partner in the Laconia law firm: Lawson Persson & Weldon-Franke, is a volunteer with the Granite State United Way. Mike presented the Belknap County Financial Stability Partnership initiative. The Financial Stability Partnership is Granite United Way’s poverty reduction initiative in Belknap County. It has evolved from an initial endeavor to reduce county poverty 20% by the year 2020. It became obvious to this local group of volunteers that many agencies were already working issues related to poverty, so a bit of a shift occurred to harness the efforts and have the agencies work together. They all began cataloguing what was happening and identifying the gaps. Using a Canadian model (Tamarack) a “Vibrant Communities” program was installed. Its goal is to rally members of our community to focus on a common agenda. Here, that focus is reducing poverty. Some portions of the group focus on early childhood learning, another on parenting, another health care. Adult mentoring has also been begun recently. The backbone of this effort is the FSP organization, which pulls the multiple efforts together. They are funded by Granite State United Way. The FSP does acknowledge that there will always be poverty, and acknowledges that a poverty culture does exist for some experiencing it. Their near-term focus is interventions. Efforts are being made to get those folks earning 75-200% of the living wage, based on family size, out of poverty with these many efforts. The current effort includes us, Kiwanians, we are being asked to not only do something, anything, but to let FSP know what it is. We are being asked to do something, and commit to it. John Walker asked for a minute to share a personal opinion. He noted that Got Lunch! Laconia gives the kids food to get through the summer and opined that every Kiwanian ought to be a Mentor to provide guidance to students from the 6th grade through high school to ensure they had the guidance and support to get out of poverty, be it college or be it a Huot diploma, leading to a job paying a living wage. For more details on the Financial Stability Partnership, “click” here. 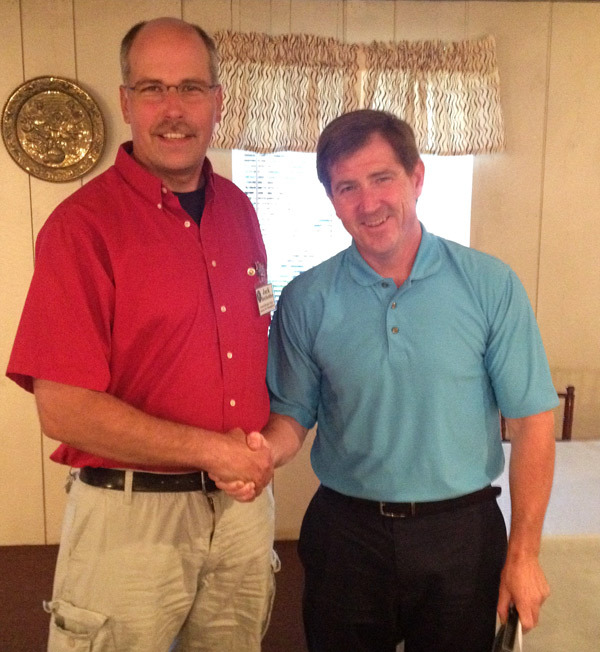 President Jack thanks Mike Persson for his presentation.